The National Chutney Foundation of Trinidad of Tobago is getting ready to launch a new event during Carnival 2014 celebrations – the World Chutney Soca Monarch/Festival. Artistes from around the world will compete for a cash prize of $1 million. This was disclosed yesterday by foundation president Dr Vijay Ramlal-Rai at a media briefing at Capital Plaza Hotel, Port of Spain. With regard to the criteria of the competition, he said more will be revealed at the actual launch. He stressed: “Absolutely no rum songs or songs against someone’s religion or gender or race will be allowed. “It is not a straightforward competition where people would just come on the stage and perform. We are looking at using it as a reverse form of tourism,” he added. Some of the artistes will be coming from Cuba, Guyana, Canada, China and even Dubai. In total, there will be artistes from at least 25 countries from around the world set to compete. “This is not a project that came overnight. This has been in the making for years,” Ramlal-Rai said. 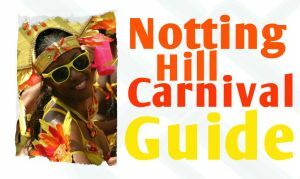 Apart from the competition, the event lists an array of activities that include traditional Carnival costume displays, the art of drumo­logy showcasing the pan, rhythm sections, tassa and box base via exhibitions, as well as local culinary delights. Ramlal-Rai noted there will be several booths at the event showcasing all the country has to offer, and creating an opportunity for international trade via companies and countries having booths showcasing products and services. “Chutney has grown beyond Trinidad and Tobago and has gone international,” he said. 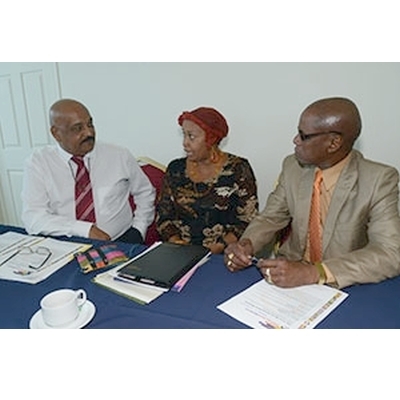 Vice-president of the National Chutney Foundation Wendell Eversley said there will be worldwide coverage of the event via live streaming, and the event will allow patrons to interact and buy pro­ducts and services on display. He noted the top four chutney singers of Trinidad and Tobago will compete with the other 25 artistes from the various countries. Ramlal-Rai noted he would like locals and foreigners to come and have a good time, network and do business in a warm and friendly atmosphere. The focus will also be on boosting tourism and trade within the country, he said. The official launch of the festival will take place next month. The National Chutney Foundation of Trinidad and Tobago is inviting corporate bodies to support the initiative. For more information, call 624-1024 or 392-0755.